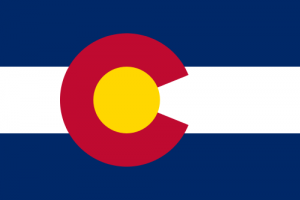 Colorado Open Records Act (CORA) and Municipal Records Management Manual set the rules for government records management in the state of Colorado. (6) (a) (I) “Public records” means and includes all writings made, maintained, or kept by the state, any agency, institution, a nonprofit corporation incorporated pursuant to section 23-5-121. (2), C.R.S., or political subdivision of the state, or that are described in section 29-1-902, C.R.S., and held by any local-government-financed entity for use in the exercise of functions required or authorized by law or administrative rule or involving the receipt or expenditure of public funds. An agency subject to the Open Records standards of CORA is required to archive records “in a form which is reasonably accessible and which does not alter the contents of the information.” Tax Data Corp. v. Hutt, 826 P.2d 353 (Colo. App. 1991). What is my agency required to do in line with Colorado regulations? In 1996, it was established by legislation from a General Assembly that custodians of “records kept in miniaturized or digital form” had to adopt a policy for retention, archiving, and destruction of such records and to “take measures as are reasonably necessary to assist the public in locating any specific record or public records sought and to ensure public access to the records without reasonable delay or unreasonable cost.” Included in the measures suggested is “the provision of portable disk copies of computer files…or direct electronic access via online bulletin boards or other means”. Colo.Rev.Stat. § 24-72-203(1)(b).